A Russian Sukhoi Su-24M tactical bomber jet operating in Syrian airspace at the request of Damascus was shot down by two Turkish F-16 Fighting Falcon fighter jets at 9:30 a.m. Moscow Standard Time (or, according to local time in the war theatre, 8:30 a.m. Eastern European Time) on November 24, 2015. The Kremlin reacted by asking for an explanation and apology. The Russian military quickly summoned the Turkish military attaché in Moscow and called the Su-24M’s downing an unfriendly act by Ankara while Russian President Vladimir Putin, speaking from Sochi during a meeting with Jordan’s King Abdullah II, described it as a «stab in the back, carried out against us by accomplices of terrorists.» Ramzan Kadyrov, the leader of the Chechen Republic, would later describe the Turkish attack as an assault on the opponents of the so-called Islamic State in Iraq and the Levant (ISIL/ISIS/IS/DAESH) by the Turkish government on behalf of the US. The analysis of the Kremlin quickly concluded that the Turkish attack on the Su-24M was intentional. Russo-Turkish tensions began to mount. «We have serious doubts this was an unintended incident and believe this is a planned provocation,» Russian Foreign Minister Sergey Lavrov announced two days later, on November 26, after meeting Turkish Foreign Minister Mevlut Cavusoglu. The day after the Su-24M’s downing, on November 25, Russian Defense Minister Sergey Shoigu announced that the S-400 mobile air defense system was being deployed to Russia’s Khmeimim (Hmeymim) Airbase in Latakia; the S-400s were then airlifted from Russia to Syria by means of the Antonov An-124 Ruslan strategic cargo jumbo jet on November 26. In an indirect message to Turkey and the US, the Russian Aerospace Defence Forces announced that Sukhoi Su-34 fighter-bombers equipped with air-to-air missiles – used for air combat – were operating in Syria. The Russian Navy would also deploy the Moskva guided missile cruiser off the Levantine coast in the waters of the Eastern Mediterranean. Putin took a vow a few weeks later, on December 11, during a meeting with Chief of the Russian Armed Forces General Staff Valery Gerasimov that the Russian military will «immediately destroy» any hostile player threatening Russian operations in Syria. Mowaffak Al-Rubaie, who the US had appointed as the national security advisor of Iraq in July 2003, would corroborate that Ankara was involved with the ISIL oil stealing operations on November 28, 2015. 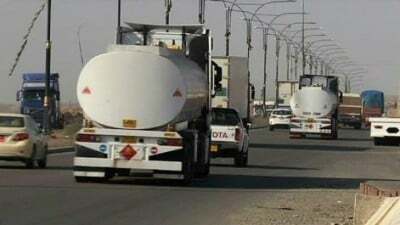 A few weeks later, on December 7, Iraqi Prime Minister Haider Al-Abadi would add his voice to the accusations by saying during a meeting with German Foreign Minister Frank-Walter Steinmeier that most the oil that the ISIL was stealing from Iraq and Syria was being smuggled and sold via Turkey. Referring to the theft of oil from his own country, Syrian Information Minister Omran Al-Zoubi told RIA Novosti that Erdogan had personally ordered the Turkish military to shot down the Sukhoi Su-24M as a reprisal for the Russian airstrikes against the ISIL oil smuggling business that was managed by his son, Necmettin Bilal Erdogan. A short time later, various reports surfaced about Bilal Erdogan’s ownerships of a BMZ Group-affiliated Maltese shipping business named the Oil Transportation and Shipping Company. It was also reported that over a hundred oil tankers belonged to the Turkish Bayrak Company owned by Berat Albayrak, who is Erdogan’s son-in-law that was appointed Turkey’s energy and natural resource minister by Prime Minister Davutoglu after the Turkish general elections on November 1, 2015. This article was originally published by the Strategic Culture Foundation on December 17, 2015.